11 types of gemstones formed approximately 20 to 55 miles below the surface in a fun online archaeology learning game. 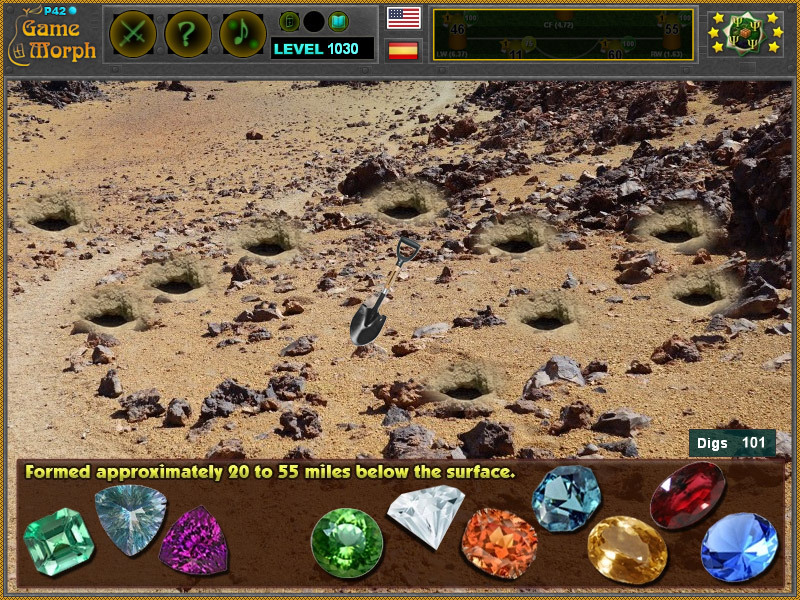 "Dig for Gemstones Game" is a free online knowledge level game, to excavate 11 types of precious gemstones. A small point and click game for desktop computers, laptops and tablets, which may be played in the web browser. The Archaeology Knowledge Board include pictures of 11 types of gemstones, to play with. How different types of gemstones looks like? What are the colors of gemstones? How to play Dig for Gemstones Game. Like all excavation games, there is one volcanic archaeological site with hidden gemstones under the surface. You must search the volcanic site by digging suspicious locations with the shovel. There is a one time usable hint to show the hidden gemstones locations for 2 seconds. Know at least 5 gemstone colors. A few gemstones form in the mantle, but all gems are mined in the crust. The crust is made up of three kinds of rock, known in geology as igneous, metamorphic and sedimentary rock. If the magmatic mass cools slowly in the crust, it can crystallize and form minerals. 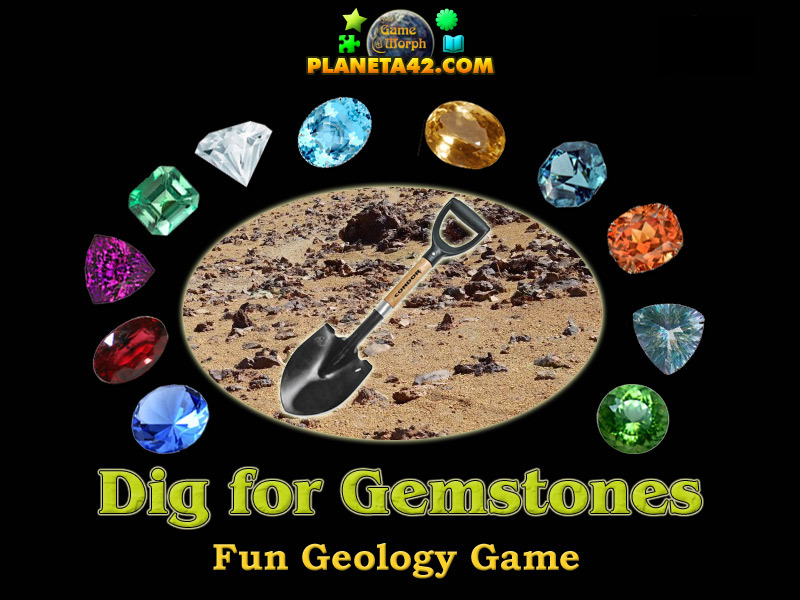 Here are the gemstones included in this fun excavation game. Labels: Geology Games , Excavation Games , Treasure Games , Mineral Games, Education Games , Free Online Games.